I know many people keep an eye on Google Plus ‘s growth. Since it is a giant technology company, our expectations for its growth can change due to Google ‘s other products success. Chitika Insights has covered the heavily publicized launch of Google+ amidst a variety of reported statistics, some which stated that Google+ hosted a user base comprised of over 40 Million people, others which described the fledgling social network as nothing more than a ghost town. Initially, traffic on Google+ saw a rapid rate of growth, but was accompanied by a period of significant decline. 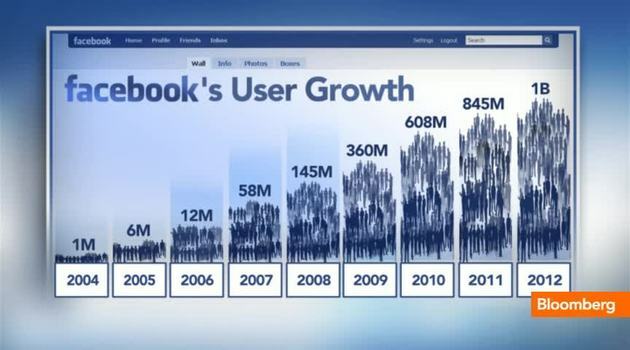 Since then, Chitika Insights has been regularly keeping tabs on the condition of Google+, in order to determine the relative success of the social network. Between the months of September to November, Google+ saw a 118% increase in overall online activity. 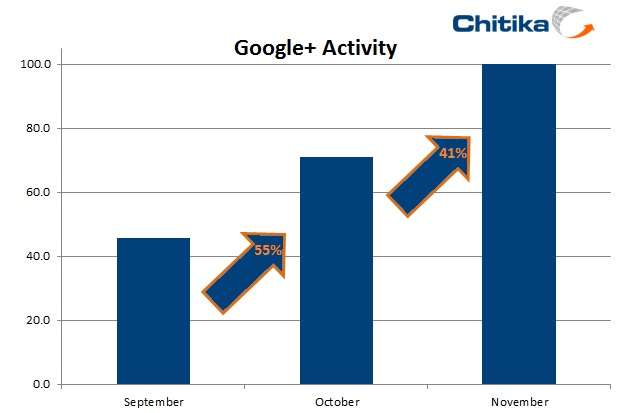 From September to October Google+ posted the biggest growth figures (55%), followed by a growth in online activity of 41% between October and November, as seen in the graph below.